The other day I found myself over at The Coronado Springs Resort so I decided to pop my head into Rix Lounge, the new ‘ultra lounge’ styled bar located just outside of the Pepper Market. I found the space to be well themed and inviting with some cool areas to sit with friends for a drink and discussion. Since this was already covered by Bob Varley on the Podcast I won’t go into details of the offerings, needless to say they are expensive. As someone who rarely drinks I doubt I will be spending any time at Rix Lounge, but I think many of the conventioneers at The Coronado Springs will enjoy the adult, non-Disney atmosphere and libations – especially those who are on a per diem. 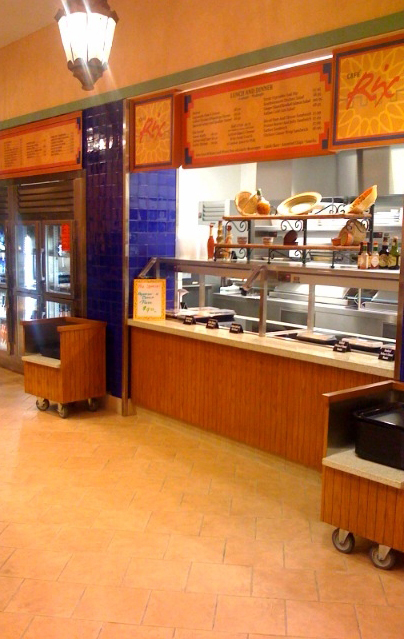 Since this was the first time I had been to the Coronado since the completion of Rix Lounge I didn’t know they also built a new grab-n-go food area called Cafe Rix. This is located between Rix Lounge and the store. I must say that this looks a like a really great addition to this resort. For those of you who don’t know, the old grab-n-go food location was right next to the podium for the Pepper Market. This new location is much more centrally located and convenient for folks who want to sit outside along the water and have a bite to eat. While we didn’t stop and eat here the food actually looked good, and quite reasonable for Disney Resort fare. There were hot and cold sandwich platters which ranged from $6.99 to $9.50, soups and salads from $7.50 to $10.85, fresh fruit and both fountain and bottled drinks in a very wide variety. What impressed me the most was the fresh baked items and gelato. Everything looked so good and fresh, and I didn’t think the prices were that bad. 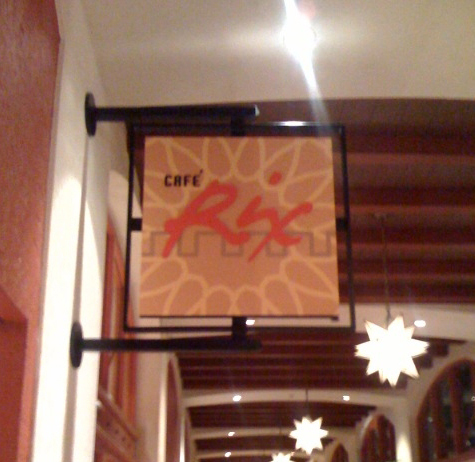 For those of you who want to know exactly what is being offered check out the MENU for Cafe Rix on the DIS. Again, we did not stop and eat so I do not know what the food tasted like but it all looked very good and very high quality. Maybe next time we’ll take some time to stop in for a snack at Rix. Disney’s new Treehouse Villas – Nice, but….